ALERT! The new TOHO Godzilla movie reportedly is having production issues! But new reports say that an AMERICAN film company (Legendary Pictures) is in development of a new Godzilla movie! I will be posting more details on the subject when they come! Godzilla movie reviews, which Godzilla movies you need to check out and ones your better off without! Godzilla vs. Mothra*** This one is classic, this one was before Godzilla became a super hero. (Thank goodness!!) But it is kinda slow paced and alot of the actors in the movie have wierd little German mustaches. But I suggest you check it out! Godzilla's Revenge* This is THE worst Godzilla movie EVER!!! Most of the action scenes in it are taken from other Godzilla movies, but that's not the worst part! All the monster action in this movie takes place in a kids imagination and Godzilla's son (Myna Minilla...Whatever) talks! Unless you're three years old this movie isn't for you!!! Godzilla vs. Mothra: Save the Earth**** This my favorite Godzilla movie from the second series! Also it is one of the few movies that Mothra DOESN'T die in! This movie has it's faults, (such as one of the early scenes, which seems very much like a rip-off from Iniana Johns) but it is a very cool movie! 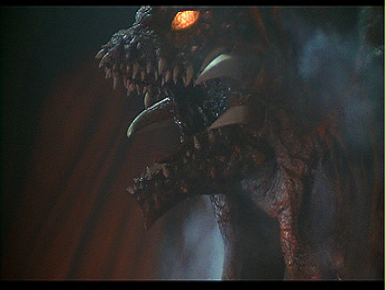 Godzilla vs. Destroyah***This one was pretty good. But I feel it would have been much more enjoyable if it had some better music. Over-all though it is a cool movie, especially with Destroyah being in it! Godzilla 1998***** This one rocks! 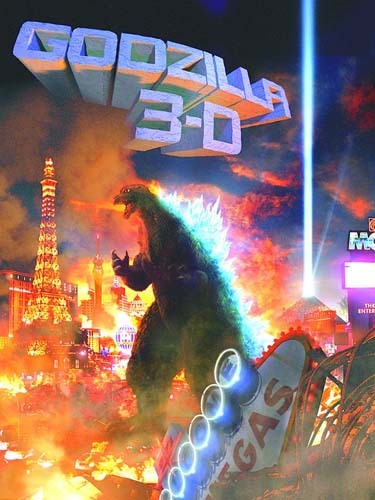 Yes Godzilla did have a major makeover for this one, but it's still Godzilla and I defiantly suggest that you watch this! 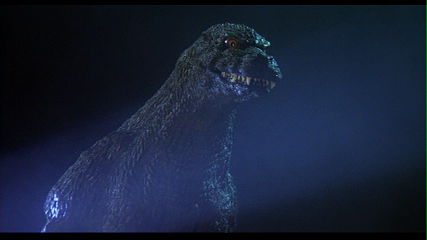 Godzilla 2000***** This is the best of the Japanese Godzilla movies! Godzilla's new look is great, the human characters are likable, and the new monster Orga is awesome! Check it out! Godzilla Final wars***This one has one of the most confusing plot lines of any Godzilla movie, And there is a weird subplot about Myna (Minilla whatever). But it's very fast paced and it has alot of action. I recommend seeing it. Want to see more Godzilla movie reviews? You can go to www.stomptokyo.com! Check out my other site www.pythonshark.synthasite.com! *PLEASE NOTE: I do NOT own the copyright of the images on this site! I will soon have images that are not owned by other sites. 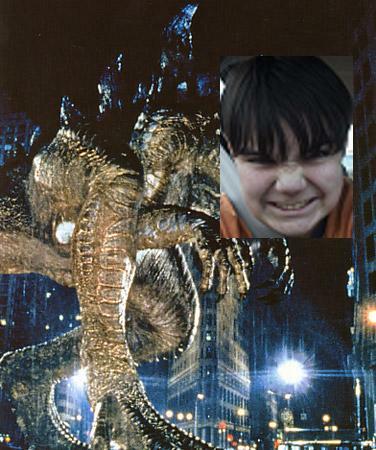 I do NOT own the Character Godzilla or any other charactor from the series. The rights go to the TOHO movie company.